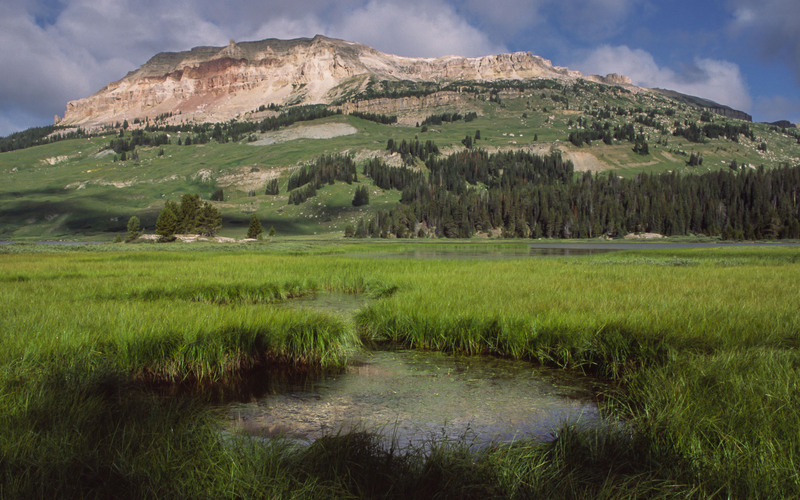 The Absaroka-Beartooth wilderness protects a large area of 940,000 acres (1500 square miles) in southern Montana and northern Wyoming, adjacent to Yellowstone National Park. 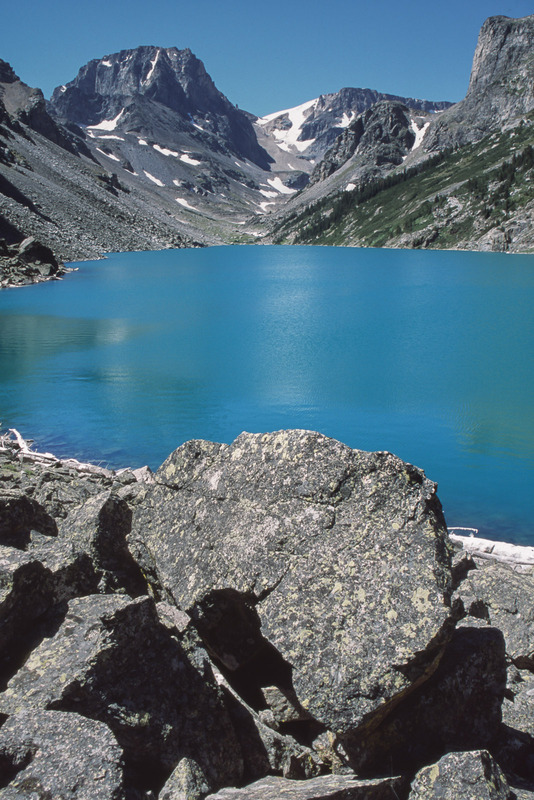 At the heart of the wilderness lies the Beartooth Plateau - dotted with hundreds of lakes above 10,000 feet in elevation - and Granite Peak, at 12,799 feet the highest mountain in Montana. There are a wealth of hiking possibilities, both on and off-trail, and it's a good option for wilderness hiking without Yellowstone's crowds or red tape. This page suggests a few good day hikes within easy reach of the town of Red Lodge, in the southeast corner of the wilderness. Trailhead: Lake Fork Trailhead - at the end of the paved road departing US 212 (the Beartooth Highway) 9 miles southwest of Red Lodge, Montana. The 14-mile roundtrip to Black Canyon Lake is an outstanding day hike - the best I found in this part of the Beartooths and one of the most scenic hikes I've done anywhere. The trail follows the Lake Fork of Rock Creek through the forest past cascades, Broadwater Lake, and Lost Lake (just off the main trail, but worth seeing) for 5.2 miles before reaching a bridge across the creek. There is a great view of Thunder mountain rising above the creek from the bridge. From here, the main trail continues past more lakes to Sundance Pass, while the unofficial trail to Black Canyon Lake departs to the left just prior to the bridge. The route climbs through the forest with just a couple of poorly defined sections, reaching timberline at about 8,800 feet along a tributary of Rock Creek. Here, just when the first expansive view of the peaks appears, you should cross the gully to the right bank of the stream and continue on the obvious trail up to the lake - if instead you stay on the left bank you'll end up in a monstrous field of huge boulders which makes for slow going. 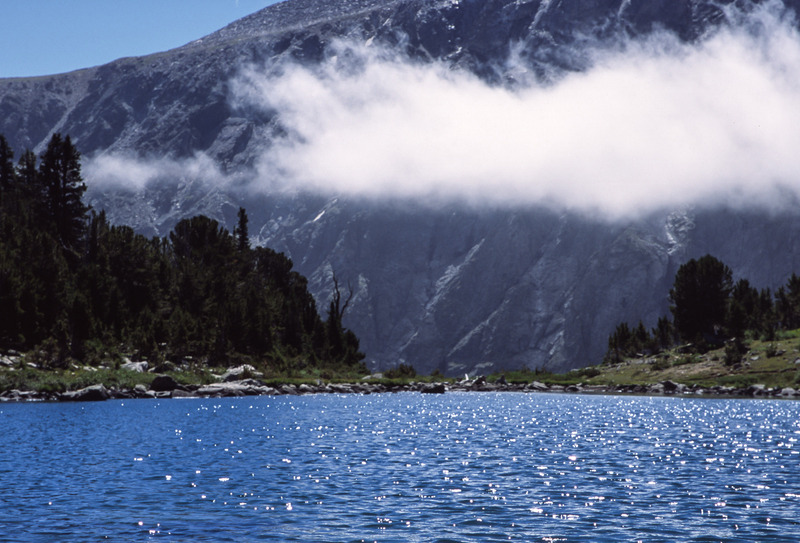 In total, it's probably a mile and half from the main trail until you reach the shore of the vivid turquoise lake, which lies beneath 12,000 foot high Beartooth Mountain and Mount Rearguard. The view here is absolutely spectacular. 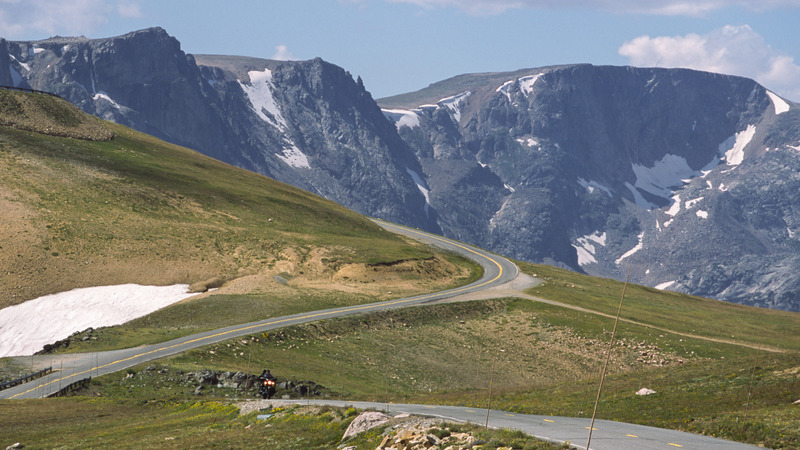 Numerous trails lead north from the Beartooth Highway on to the Beartooth Plateau. A short loop of about 8 miles starts at the north end of Beartooth Lake and follows trail 619 along the edge of Beartooth Butte to the junction with the Beartooth High lakes trail. Turning east, the trail offers great views of Lonesome Mountain rising beyond a string of unnamed lakes, passes Claw Lake, and then reaches the junction with trail 620 which closes the loop past Beauty Lake to the trailhead. This is an easy hike with good scenery, though it doesn't compare to the majesty of Black Canyon Lake which would be my first choice for a day hike in this region. Trailhead: West Fork trailhead - at the end of the West Fork Road which leaves from Red Lodge near the Forest Service ranger office. The last few miles of this road are unpaved, but not too rough. Lake Mary sits at timberline high above the beautiful valley of the West Fork of Rock Creek, with commanding views across to the Silver Run Plateau and the collection of 12,000-foot peaks near Sundance Pass. It's a 12-mile roundtrip hike to the lake, the first 5 miles of which climb gently past a succession of waterfalls along Rock Creek to Quinnebaugh Meadows. From there, the Lake Mary trail departs to the north, climbing extremely steeply (1,200 feet in 1 mile) up the valley wall to reach the lake. From the lake, it's possible to climb off trail to a saddle between Grass Mountain and Sylvan Peak, and from there descend to Crow lake and loop back to the trailhead along Senia creek. I didn't try this, though the first part - climbing to the saddle from Lake Mary - looked to be straightforward. 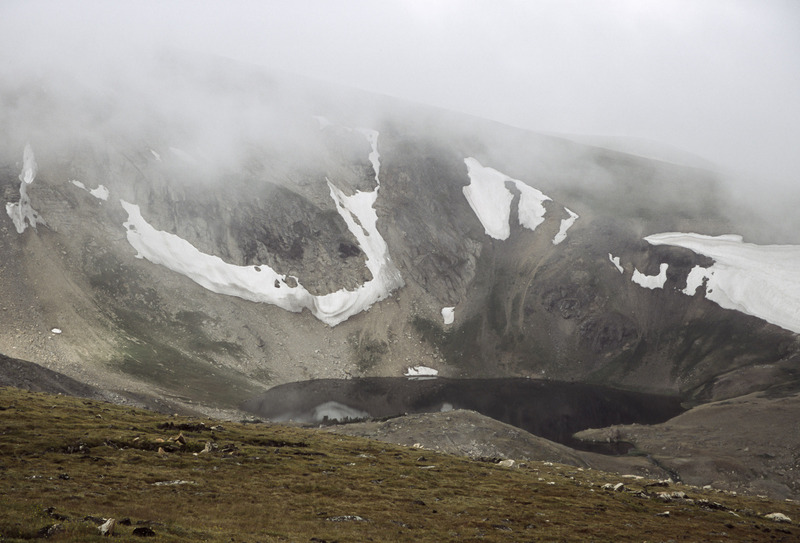 The trailheads for these hikes all lie off the Beartooth Highway, which connects Cooke City (at the north-east entrance to Yellowstone) to Red Lodge in Montana. The road reaches almost 11,000 feet at Beartooth Pass and is only open between Memorial day and sometime around mid-October - out of season Cooke City in particular lies at the end of a lonely one way route crossing the northern part of Yellowstone. Apart from giving access to hiking on the Beartooth Plateau the road is itself a tourist attraction, the scenery is open and spectacular and the highway is often listed with Trail Ridge Road (in Rocky Mountain National Park) and the Going to the Sun Road (in Glacier) as one of the most scenic drives in America. Definitely it's not a drive to rush. The Beartooths cover a broad area, so where to stay depends entirely on which piece of the wilderness you're planning to hike. On my trip I stayed in Red Lodge, which is convenient for these hikes and for other trailheads along the eastern part of the Beartooth Highway. This was a while ago (2004), but based on my experience back then I'd recommend: the Sylvan Peak Mountain Shop, the Red Lodge Pizza Co., and the Montana Candy Emporium, which along with much else in Red Lodge is charmingly old fashioned. The nearest place you could fly to is Billings, Montana, which is 60 miles away. 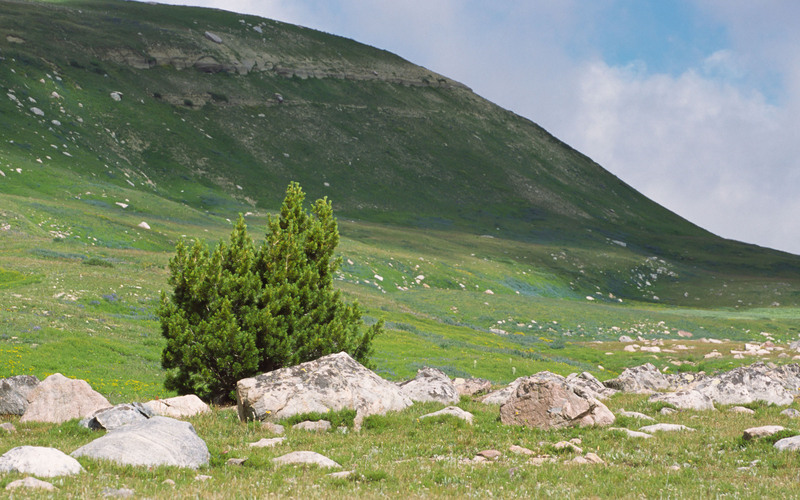 A decent guidebook is Hiking the Absaroka-Beartooth Wilderness by Bill Schneider. Maps are easily obtained from local stores or from the Forest Service ranger office in Red Lodge, though they're not widely sold elsewhere. Prominent signs at trailheads warn that the Beartooths are grizzly bear country, so appropriate care needs to be taken when hiking or camping. We didn't see any bears during our short visit though - in fact the only wildlife of note we saw was a small snake sunning itself along the trail, along with plenty of mosquitoes. We also didn't see too many people, although this is a popular area as far as wildernesses go it's much less crowded than nearby Yellowstone and Grand Teton national parks.